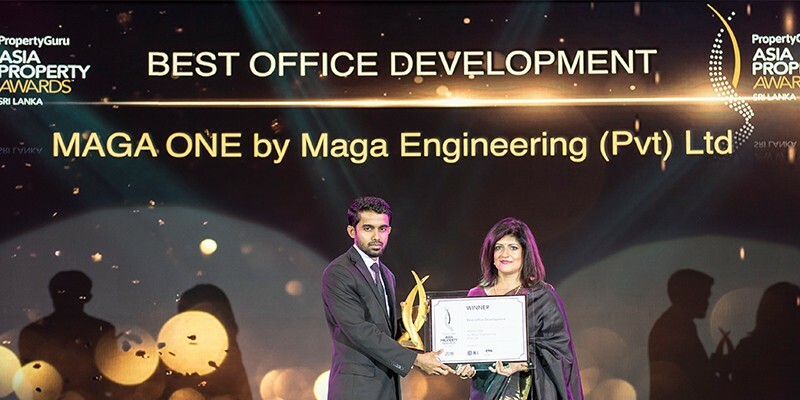 MAGA ONE, Sri Lanka’s tallest A-grade office complex built in the new millennium, was recognised with two prestigious awards at the recently concluded 2018 PropertyGuru Asia Property Awards Sri Lanka. 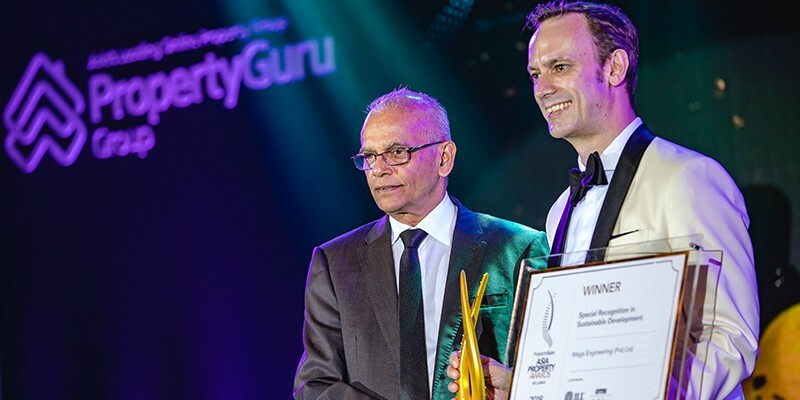 Sri Lanka’s growing real estate sector has joined the esteemed PropertyGuru Asia Property Awards series for the first time in its 12 year history. 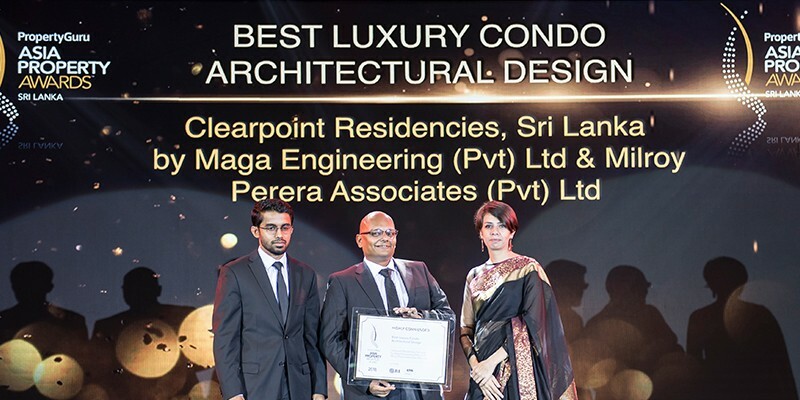 In an effort to promote Asia's finest real estate developments, the awards scheme has expanded to emerging markets such as Sri Lanka this year. 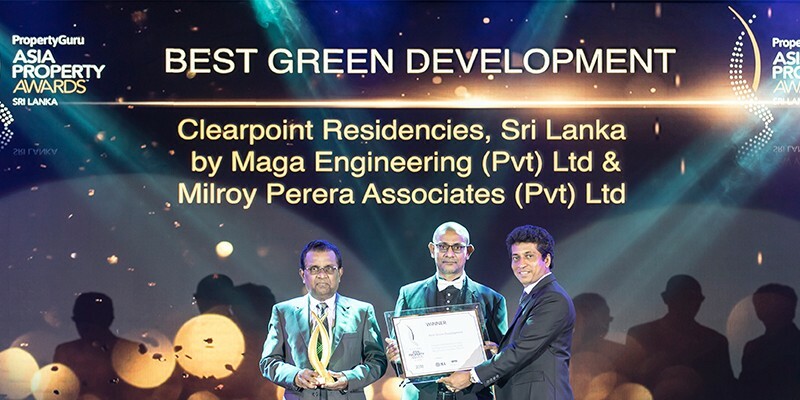 During the gala ceremony held at the Shangri-La Hotel in Colombo, MAGA ONE was recognized as the winner of the Best Office Development category, whilst being Highly Commended as the Best Green Development. 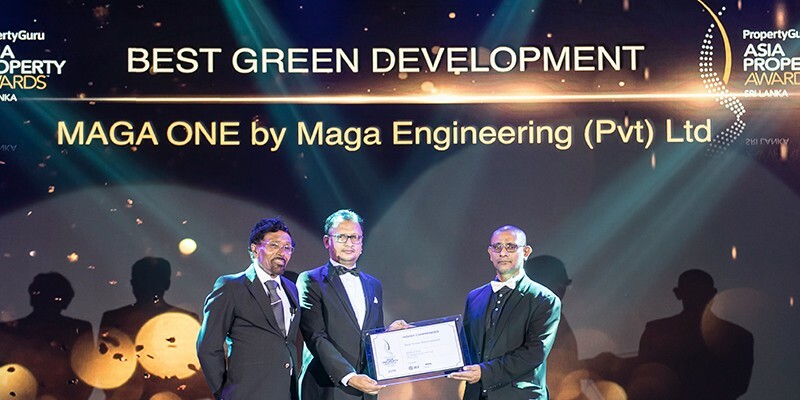 Maga Engineering, who designed and constructed the building, was the recipient of a total of five awards for at the ceremony. 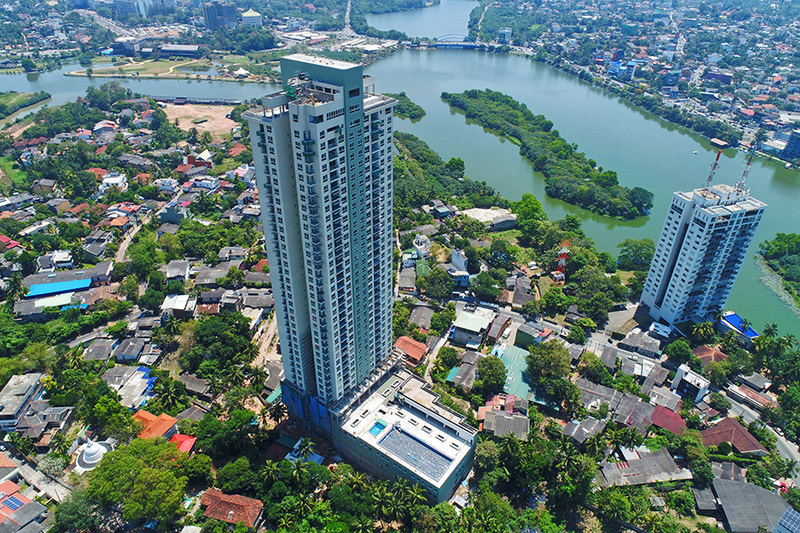 Standing at 33 floors, MAGA ONE is a state-of-the-art, purpose-built business tower with an array of modern, sustainable features. 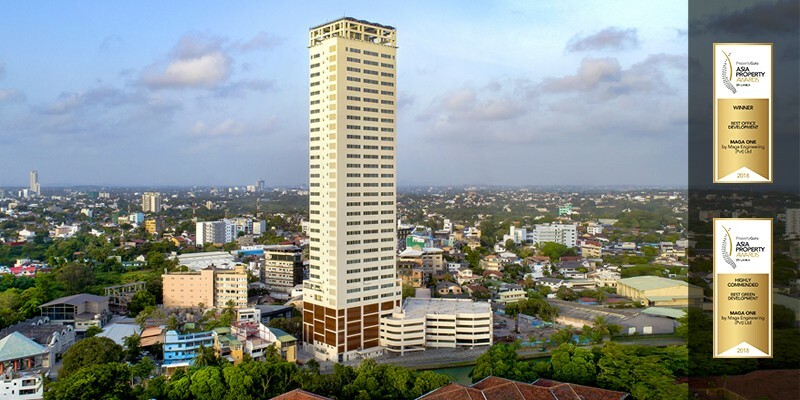 Strategically located in Colombo 05, between Sri Lanka’s central business district and administrative capital Sri Jayawardenapura Kotte, the building provides multiple access points to Colombo’s road network, businesses and public institutions. 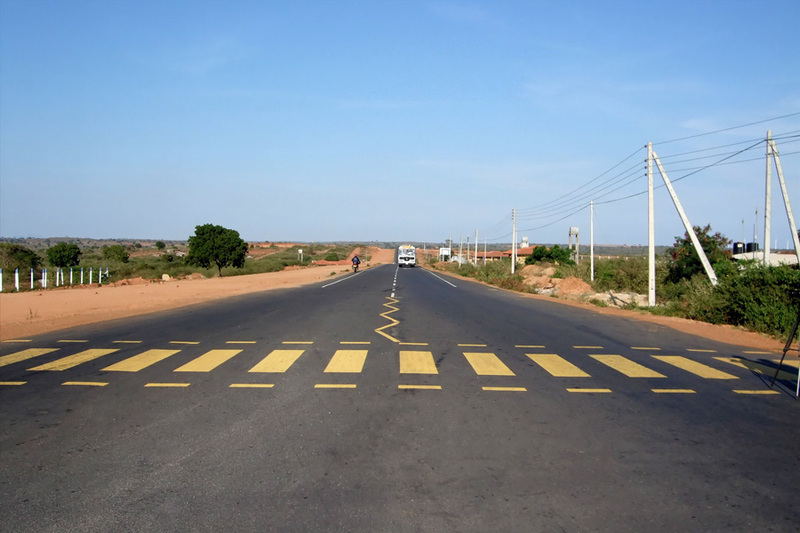 The building features an exclusive array of corporate amenities, which are designed to international standards. 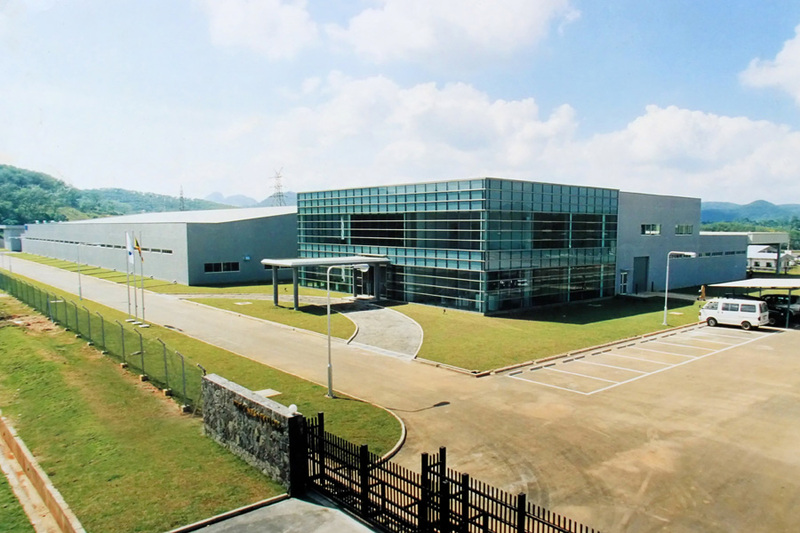 These include high quality material and finishes, specialized internal climate control system, high-tech Building Management System, raised flooring, high-speed elevators, 100% back-up power and dedicated 24-hour security & surveillance. The building also features a multi-function floor that includes conference facilities. 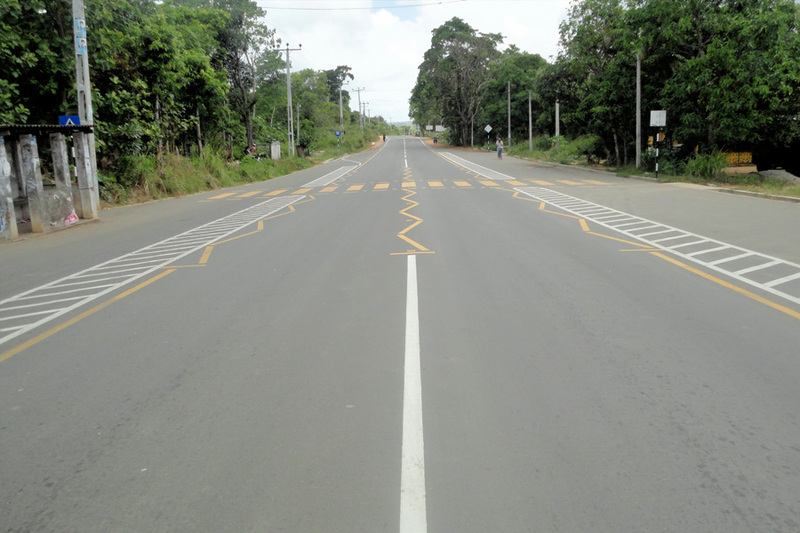 The office complex has been built with Universal Design principles in mind, comprehensively addressing the needs of tenants, customers and workers with disabilities. 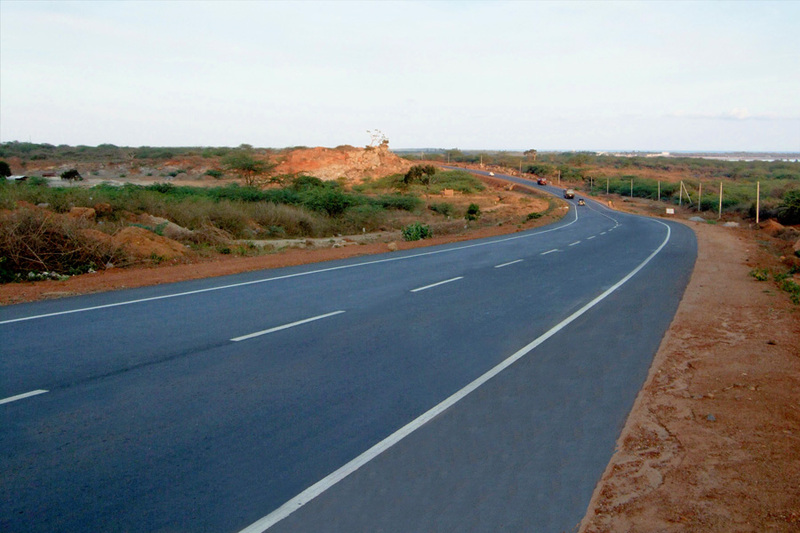 The holistic approach has seen it adopt Universal Design in its environment, process, technologies and processes. This has resulted in a socially acceptable workplaces for tenants, reaping the benefits of fostering employees with optimum productivity, deep collaboration, harmony and free communication. Further, tenants reap the benefits of better serving the needs of their customers within a more inclusive work environment.